There are very few perfect albums. Even the definition of what that means varies from one person to another, based on taste, nostalgia, and when you first heard an album that spoke to your life. I have my list, which is of course debatable. I want to talk about a near-miss for my perfect album list. I don’t very often use a public forum to complain about something. I would rather spend my energy celebrating the things I love rather than ripping apart things I don’t. For the most part this post is a celebration of something I love, with one really annoying exception. I discovered the poet, singer-songwriter Leonard Cohen around 1990. Even though he had been around on albums since the late 1960s (and as a poet before that), I hadn’t been exposed to his work. I may have heard a couple of his more well-known songs at some point, but they didn’t penetrate my consciousness. He never got a lot of radio play on the stations I listened to, and none of my more musically savvy friends owned any of his albums. I found him the way I ended up discovering a lot of music, by following the recommendations of musicians I already liked. Cohen is name-dropped in the song Speed Boat by Lloyd Cole and the Commotions on their album Rattlesnakes (which, coincidentally, is on my list of perfect albums). Nick Cave mentioned him in interviews. I’m pretty sure other artists did as well because somewhere in there I decided that if that many musicians I liked were fans of this Leonard Cohen guy, maybe I should check it out. So I bought a vinyl copy of Songs of Leonard Cohen at Jim’s Records in Bloomfield not long after I first moved to Pittsburgh. At the time I had no idea this was his first album from 1967. Based on the title I think I assumed it was a greatest hits collection. I fell in love with it immediately. His voice, his inflection, his lyrics and songwriting... it all came together for me pretty quickly. I could see how the artists I already liked were influenced by him. I started picking up a lot of his work. Which brings me to I’m Your Man, the album I want to talk about. It was released in 1988. I bought the CD in 1992 or 1993. I have vivid memories of listening to it over and over again. At the time I was teaching a class on Comics For Kids through Community College of Allegheny County and on Saturday mornings I would drive to a community center in East McKeesport. I’m Your Man was my soundtrack for that drive every week. The album was full of amazing songs. First We Take Manhattan. I’m Your Man. The amazing poetry of Take This Waltz. I still have no idea what the lyrics of that song means, but the imagery and language reminds you that Cohen is a poet first. On my weekly trip I would sing along (yes, I occasionally sing... in the car, by myself, or in a crowd at a very loud concert), absorbing every song into my DNA. Well, not every song. And that’s the problem. 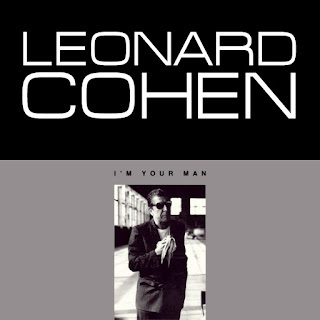 Six songs in, right after the sublime Take This Waltz, is the single worst song Leonard Cohen ever recorded. That’s a strong statement, but I really feel that way. It’s called Jazz Police, and apologies to those out there who like it, but it completely grates on my nerves. The lyrics are ridiculous, his voice is annoying, the entire presentation of the song is like finding a turd in your birthday cake. I’m pretty album oriented in my listening habits. I rarely make a playlist. I usually listen to an entire album by an artist, beginning to end. I tend to see them as whole pieces of work that need to be experienced as it was released. You wouldn’t pick up a novel and read chapters 1, 7, and 13 and skip the rest. Why would you skip songs on an album? Yes, I know there are lots of reasons and I’m not here to debate how anyone enjoys music. But, this is the way I listen. I think my brain searches for a narrative to an album, whether one was intended or not. They are not individual songs to me, but pieces of a whole that need to be evaluated not only as songs but in how they interact with each other on the album. I only bring this up to illustrate what an enormity editing a song out of an album is for me, but I did it with Jazz Police. For my car trips I had a cassette player, and the tape version I made from my CD omitted this song. When I did play the CD I skipped it. Years later when I transferred my collection to an Ipod I eliminated the mp3 file completely. 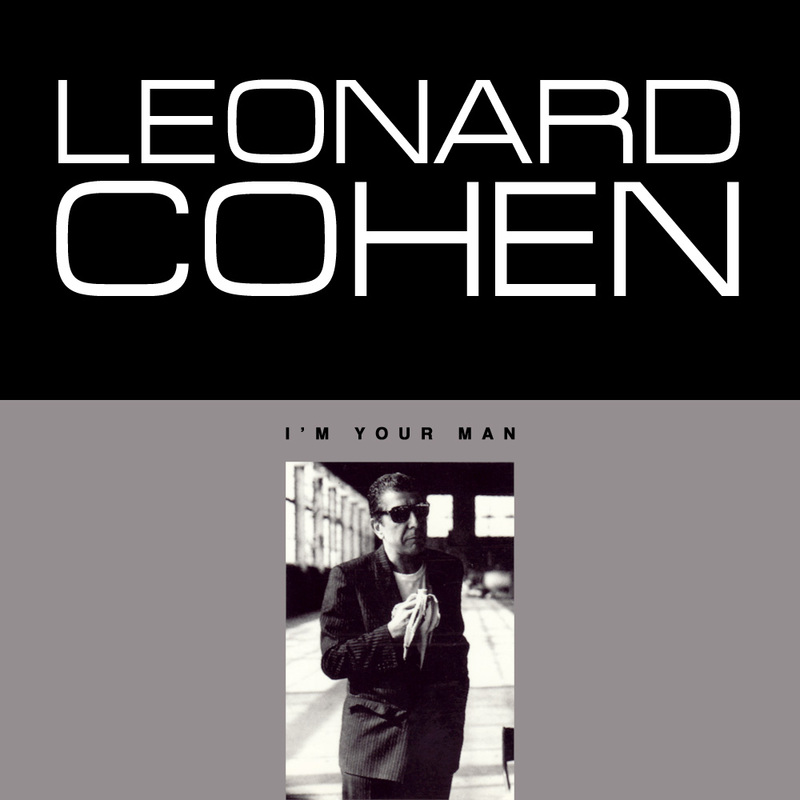 In my universe this song is simply not a part of I’m Your Man, which is now a perfect album. For the last year or so I’ve been working on a personal music project. There is a book from 2006 called 1001 Albums You Must Hear Before You Die (edited by Robert Dimery and Michael Lydon). I haven’t read the book, but I have access to an online list (and I should have a separate blog entry about this experience). Needless to say any list like this is debatable. Anyway, thanks to the magic of Spotify I’ve been listening to these albums in order (most of them are available) to increase my experience as a self-proclaimed music nerd. I’m Your Man is on the list, and you’ll get no arguments from me that it shouldn’t be included. So when it came up in my ongoing listening quest last week I thought, ‟Okay, I’ll sit through Jazz Police this time.” For Science, as a dear friend says. Time and distance have not been kind. I still really disliked the song and felt it to be a horrible intrusion on my listening pleasure. Sorry Leonard. I’m going to keep living in a universe where this song doesn’t exist. Here’s a video of Take This Waltz. And Lloyd Cole’s Speedboat where I first heard Cohen’s name, just because I really like it.